Universal tool for car radios, odometers, dashboards, immobilizers repair with advanced functions like EEPROM and micro controller programmer, key transponder programmer and other. CODECARD.LT (ATOMIS company) has introduced on the world market new generation universal car electronic repair tool called CARPROG. New equipment was designed with regard to demands of our customers to have universal low cost tool for car radios, odometers, dashboards, immobilizers repair including advanced functions like EEPROM and micro controller programmer, key transponder programmer. 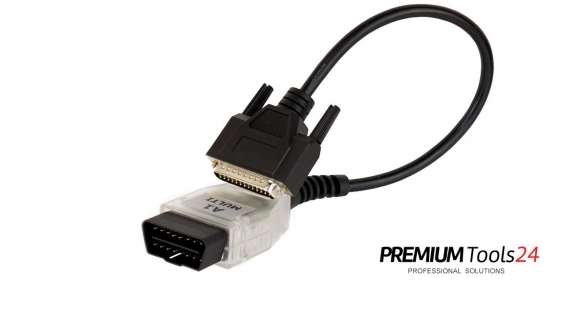 Universal Tool – CARPROG has powerful 16-bit MPU and full set of automotive interface drivers. In basic version you will get hardware with extra functions: 12 input/output pins for EEPROM in-circuit programmer, future possibility’s to make on the same hardware Microcontroller programmer, Immobiliser Transponder Key programmer with antenna adapter for 125/134 kHz, K-line diagnostic (dashboard odometer programming, immobilizer key programming), CAN line diagnostic, +5V/+12V output, USB, power supply only from USB. 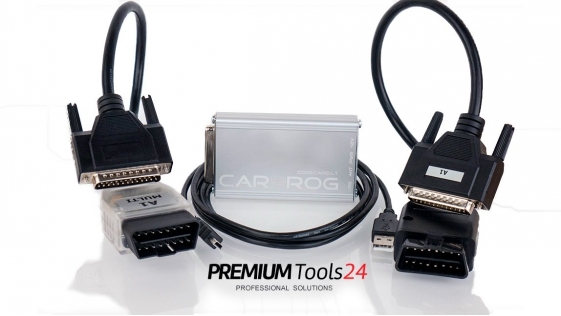 Low Cost tool – with CARPROG basic you will receive many extra functions (like vehicle radio code calculator CC1, EEPROM programmer and VAG dashboard’s CAN programmer ) and all additional software you can buy extra according your needs. Hacker Safe tool – each device have individual serial number and for software activation it uses internet based server connection. 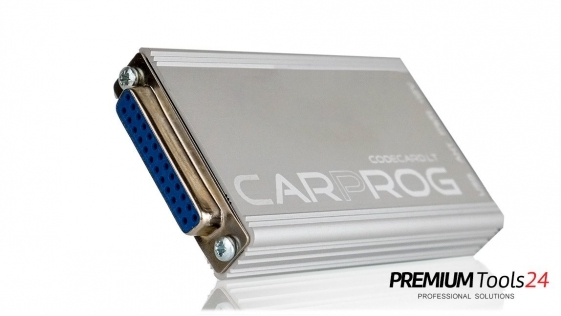 Inside CARPROG there is a advanced crypto security system to prevent tool from cloning. 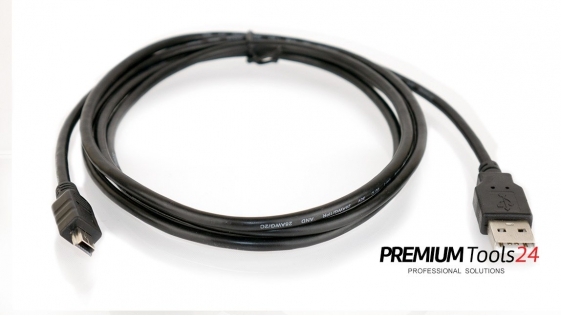 Be sure that your investments in to CARPROG device will be safe. 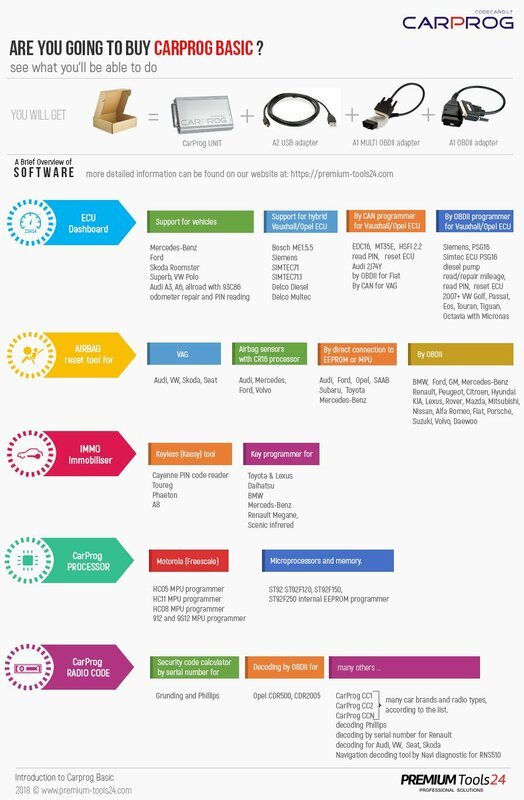 Easy Update by Internet System – you can buy any update online and you will be able to start using it with your tool in a few hours. Warning! Do not use any USB Hubs! 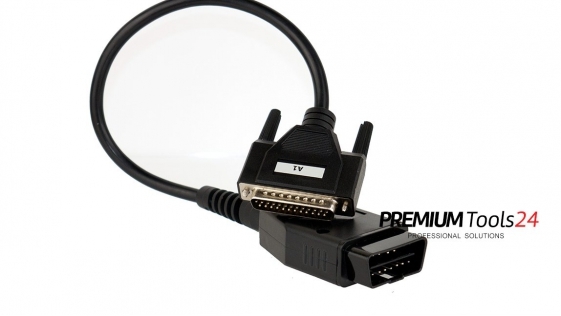 Connect CARPROG directly to your PC USB connector! If you are interested in purchasing the other modules, please contact us. 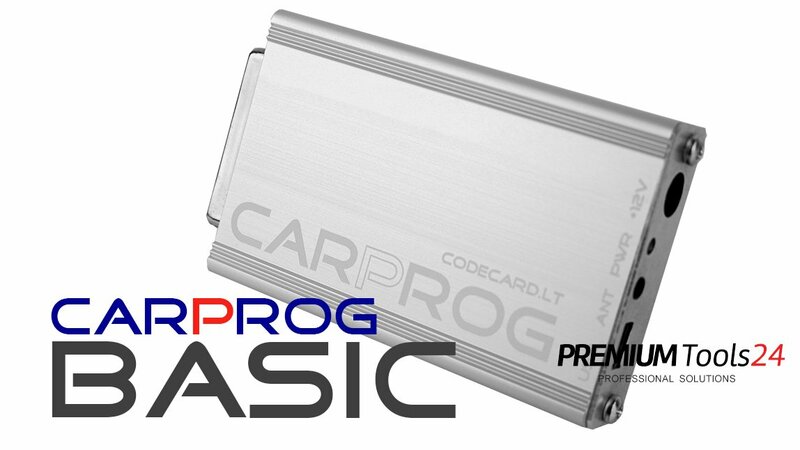 CODECARD.LT (ATOMIS company) has introduced the possibility to update CarProg clone to be legal. 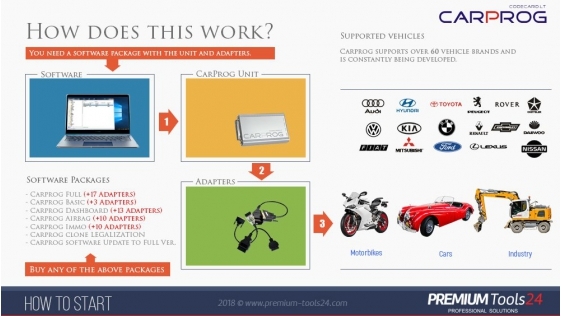 This applies to the version: - CarProg FULL (the cost of legalization £1,276.00) - CarProg..
A KIT for all CarProg Users The Carprog update kit is designed for the comprehensive repair of the CarProg programmer and the A1 adapter It's confusing, let me explain what this KIT really is for. ..
Software for Carprog Programmer S8.1 Volvo Excavator EC35 EC45 instrument cluster with Puma 2 controller This software is working with Carprog Programmer, If you want to use it, you will need at..